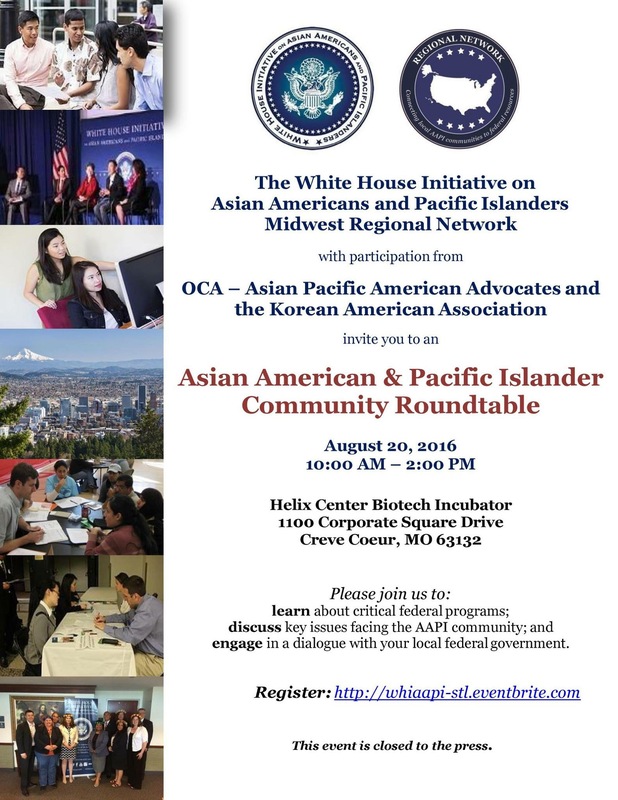 For the first and only time, The White House Initiative on Asian Americans and Pacific Islanders (https://www.whitehouse.gov/aapi) is hosting a community convening of Asian American leaders from across St. Louis on August 20, from 10am-2pm at the Helix Center in Creve Coeur. A hundred community leaders from St. Louis to the Ozarks will come together to discuss commons concerns and experiences as Asian Americans in Missouri, and listen to federal agencies present on Asian American specific trainings, resources, and grants, including language specific offerings. The event is being held in partnership with OCA St. Louis and the Korean American Association (KAA) of St. Louis. The White House Initiative on Asian Americans and Pacific Islanders was first established in 1993 under Executive Order. In 2009, President Barack Obama reestablished the Initiative to address issues regarding the Asian Pacific American community. 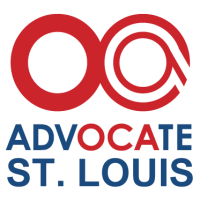 Founded in 1973, OCA St. Louis (www.oca-stl.org) is one of three founding chapters of a national civil rights organization dedicated to advancing the social, political, and economic well-being of Asian Pacific Americans. The main motto of the Korean American Association of St. Louis is to share and learn cultural values with others.